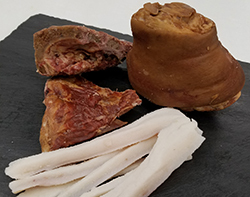 Editor’s Note: This is a guest post by Dana Hanson, the NC State Extension Meat Specialist and an associate professor in NC State’s Department of Food, Bioprocessing and Nutrition Sciences. In addition to working with local and regional food companies, Hanson also develops extension programs and teaches classes such as NC State BBQ Camp, Charcuterie School, Muscle Foods and Food Preservation. This post is part of our NC Knowledge List series, which taps into NC State’s expertise on all things North Carolina. Agriculture is an important segment of our economy. The U.S. Department of Agriculture estimates North Carolina livestock, poultry and food products at $8 billion each year. These meat products not only have a positive impact on the state economy, but they taste great – and provide an affordable, safe and wholesome source of nutrition for a growing population. A rich and diverse food culture thrives across North Carolina, from Avon to Andrews. Culinary specialties are woven into the fabric of our southern foodways. Collectively, when we think of North Carolina meat products, pork BBQ comes to mind. BBQ, from east to west, is held in high regard, but there are many unique meat products that deserve recognition. 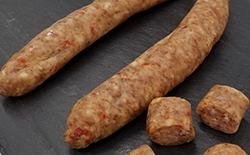 This style of sausage is rooted in eastern North Carolina tobacco country. This specifically refers to areas east of Raleigh, or the magical geographic dividing line of I-95. Air dried sausage goes back to the days of the on-farm “hog killin’,” where folks would gather in the cool fall weather to process a pig (or two or three or six) in order to provide meat for the family. Meat that was not consumed fresh or salted down to make country ham or bacon was often made into a number of different styles of sausage. Sausage is made with meat trimmings (small cuts of meat that are not suitable to be used as chops or roasts) that are blended with salt and a secret blend of spices. 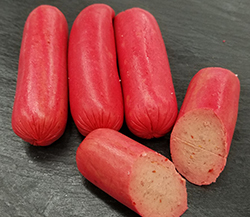 Air dried sausage is then allowed to mature and dry for a nearly a week. 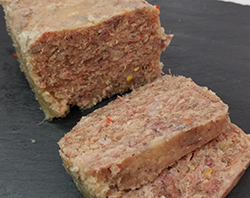 This final step changes the texture and flavor compared to traditional fresh pork sausage. The unique flavor development in this regional favorite is due to exposure to air. Food chemists call this process lipid oxidation or rancidity. Air dried sausage lovers just call it great. Large chunks of this link sausage are often fried dark brown and crispy. It is a feature item on proper southern-style lunch buffets (find it at Eddie’s Café in Newton Grove). This sausage can be served up for breakfast or, best of all, as the meat between a piece of white bread with a big squirt of yellow mustard. Air-dried country sausage is found at most retail grocery markets in the eastern part of the state. This one is straight out of Bizarre Foods. Just like “C” is for cookie, the “C” in this case is for chitlins. Chits are a hog’s large intestine. These gastrointestinal delicacies are deep cleaned, then boiled or deep fried, before being served with spicy pepper vinegar and hot sauce. (There is nothing Texas Pete can’t make even better!) Historically, to make C-loaf, chits are cooked in water, chopped, spiced, and allowed to cool. When you are ready to eat, reheat the loaf, which will make its own gravy, and serve over rice. Again, don’t forget to add copious amounts of hot sauce. Interestingly, demand for chitlins has driven production costs to the point where lower priced raw materials are now needed. As a result, hog stomachs are commonly used to make C-loaf. So why isn’t it called S-loaf, you may ask? There are just some questions that are best left unanswered. In most public circles, C-loaf will not be considered gourmet. There is just something about the lower GI tract of swine that gets little respect. If you suspect a food adventure hero lives deep within your soul, C-loaf might be your gateway to fame. Who knows? You might become the next Andrew Zimmerman. Dry cured ham is as much a part of American food heritage as apple pie. Since colonial days, country ham has been a staple food in the Southeast. Historical records tell the story of colonial meat packing businesses being built along the banks of Pagan River in the town of Smithfield, VA. Pigs thrived in the Tidewater region, supplying the meat that was cured and sold locally as well as back in England. Packers in the Tidewater region of Virginia and North Carolina are still known for producing great country ham. Today most ham is sold pre-sliced ready for the skillet. The key to success when preparing this product is knowing when to quit. 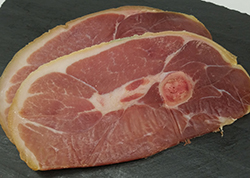 Country hams do not like to be overcooked and dried out. Lightly fry it, pair it up with a ripe summer ‘mater, slap it on a warm biscuit…and breakfast is served. Support American food heritage, try country ham from this list of North Carolina cure masters. More fresh pork breakfast sausage is consumed in the southeastern U.S., than any other market in the country. Mild or spicy hot, country pork sausage was destined to be paired with a piping hot buttermilk biscuit. If you have driven past a Bojangles’ on your morning commute, you understand the marriage of these two quintessentially North Carolinian staple foods. 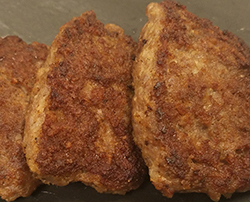 At the most simplistic level country sausage is made from pork trimming blended with salt, black pepper and sage. You may find variations with additional spices or formulas that include red pepper or cayenne to kick up the heat, but pepper and sage are standard issue. Pattie or links – it’s all good. If you are short on patience and can’t wait in line at the Bojangles’, dust off grandma’s biscuit recipe and cook up some sausage at home. Fresh country sausage is found at nearly all retail meat markets and local butcher shops across the state. Liver pudding and liver mush are closely related, in fact they may even attend the same family reunion. However, suggesting they are meaty equals would invoke an online debate that would crash the internet! Basic ingredients include pork liver and pork trimmings cooked in water. After simmering for a period of time, the meat is removed from this rich stock and sent through a grinder. Cornmeal is added back to the stock to make a thick porridge. The ground meat along with spices are blended back to form the pudding. Liver pudding often uses a coarsely ground cornmeal to produce its characteristic texture and mouthfeel. Hot pudding is allowed to cool prior to being cut into blocks. An alternative form is linked pudding, which is stuffed into a natural hog casing prior to packaging. Scrapple is a cousin seated at the same table. It is made in a similar fashion but may use wheat flour, oatmeal or buckwheat. 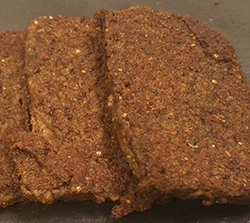 Scrapple is traditionally found in Pennsylvania, New Jersey, Delaware and Maryland. More variations of liver pudding exist. In South Carolina, pudding often includes rice as the cereal component. Further advanced study of liver-influenced meat wonderment include jadernice, leberwurst, leverpostej, and boudin. Before you graduate to this level, try liver pudding. Regional North Carolina cuisine at its finest. You have heard the old saying, it is all about location, well it’s a similar story for this product: west of Salisbury and I-85 you will find liver mush; down east it is liver pudding. This western Carolina breakfast favorite is made by first water cooking lean pork meat and liver. These fine ground meats are then combined with fine ground corn meal, wheat flour and spiced like country sausage. Pan fried to be eaten alone or put on a bun, liver mush has a fiercely loyal following. Don’t forget about the annual Liver Mush Festival in Marion held every year in June or the Liver Mush Festival in Shelby scheduled in October. If you can’t wait for either party, look for liver mush at retail markets in the western half of the state. Hot dogs have been around for a long time. History suggests that they were developed in Germany around the late 1600s. Just like most foods, they were brought to America by European settlers and since their arrival they have enjoyed a lofty perch within our food culture. A red hot dog (like those shown at the top of the page) first came to eastern North Carolina in 1941. If you were raised up in a community east of I-95, it is treason to consider eating anything else. You may find red dogs in other parts of the country, including South Carolina, Georgia and even as far west as Nebraska. For a true North Carolina experience, grill these bright red beauties just long enough to develop some delicious charring, and serve them up on a steamed bun ordered “all the way.” This will often get you chili, cole slaw, onions and yellow mustard. Keep the ketchup for your fries. A hot dog or frankfurter is sometimes referred to at a red hot. This one is a little different. Red hots are short stout links made to be hot and spicy. 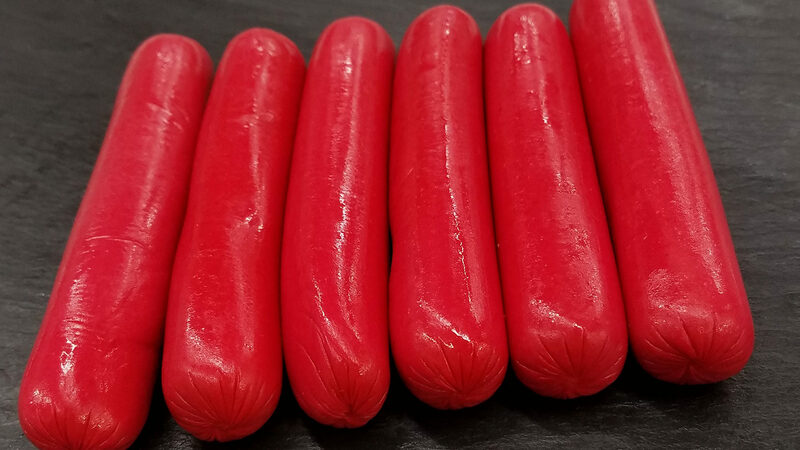 Red hots have gained fame as an inexpensive, flavorful sausage. They have found their way to countless tables across the South for almost 100 years! Enjoy them like a hot dog, then cool down with some Cheerwine. A pot of greens is nothing without seasoning meats. Savory rich pot licker owes its soul to the salty, smoky flavor packed within seasoning meats. Smoked pork neck bones, hocks and fatback have brought that extra bit of goodness to pots of vegetables since…well, forever. The salt, meaty goodness and fat work magic as they simmer. Smoked meats are found across the state. Look for these products, which are always ready to go to work in your recipes. Pass the Meat Jell-O…yes, please! Souse gets a bad rap for its similarity to Nana’s pineapple lime Jell-O (minus the pineapple and the lime). 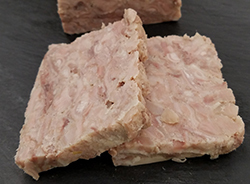 Souse is jelled meat made with water-cooked pork, tongues, cheeks, ears and/or snouts. These head meats are blended with vinegar, for some added zip, and seasoned with salt, pepper, pickle relish and/or pickled peppers. Head meats and skin are rich in a protein called collagen. When heated, the collagen breaks down to form gelatin. (If the wheels are turnin’, you are correct…Nana’s holiday specialty is not vegetarian friendly!) When this spicy and sassy mixture is finished cooking, it is sent to the cooler to set up. 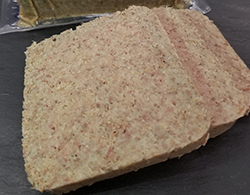 Blocks of souse are sold at retail and often used as sandwich meat. It is also eaten cold, cut into small bite size pieces. Try it with a splash of apple cider vinegar and Texas Pete. Every good food list needs to feature a rare, unique and curious product…enter the Tom Thumb. In some parts of extreme northeast North Carolina, it is referred to as a Dan Doodle. Micro-regional in distribution, you might find a Tom Thumb in retail markets along the I-95 corridor from Roanoke Rapids to about Smithfield. Whether they answer to Tom or Dan, they are both pork sausage stuffed into a hog stomach or large intestine casing. 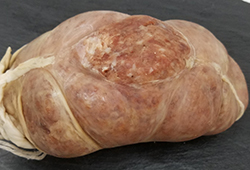 This bulbous sausage is often smoked and hung to dry, akin to air dried country sausage. They are often prepared by boiling, often with collard greens. When the greens are done, you remove the cooked Tom Thumb, slice and serve. 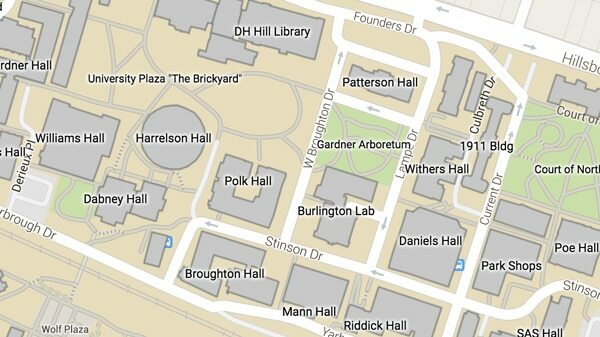 Where can a Tom Thumb be found? It might be easier to locate a Bigfoot. These products are rare, but can be found in most down east meat markets. Next time you are at the store, look beyond the common steak, chop and roast …reach for North Carolina food heritage. Try something from this list. Heck, try them all!